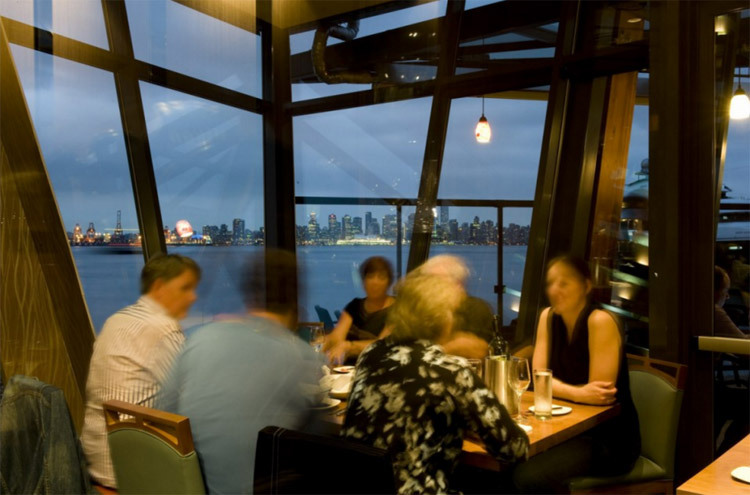 Diners at Pier 7 Restaurant + Bar enjoy what has to be one of the most spectacular views of any restaurant on the North Shore. 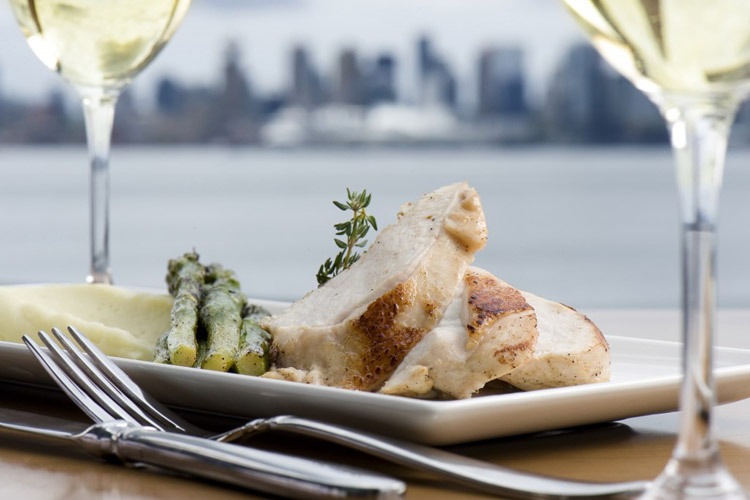 Located in Lower Lonsdale’s historic Victory Shipyards, the restaurant overlooks Burrard Inlet and the glittering towers downtown Vancouver. The heated patio is the perfect spot for enjoying a glass of wine while soaking up the evening sun and the dining room is warm, cozy, and perfect for savouring any of the memorable dishes on Executive Chef Matthew Phillip’s menu. 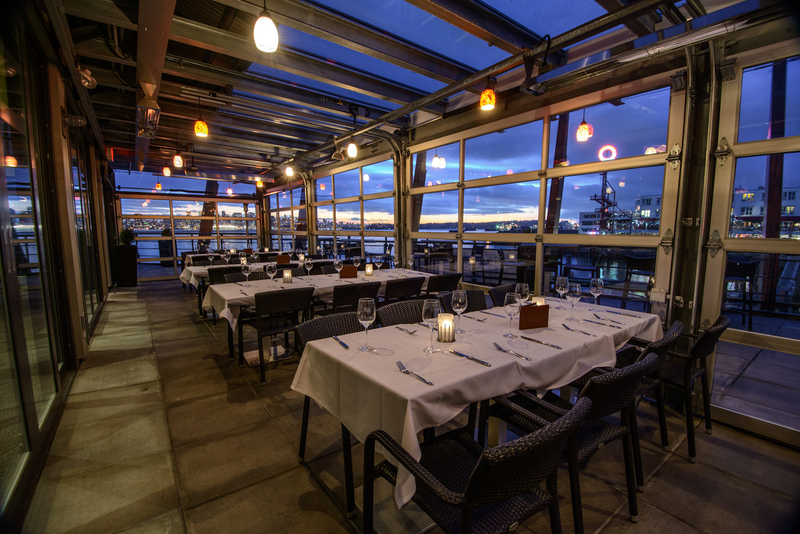 The Pier 7 menu is seafood focused and emphasizes boat-to-table choices as well as seasonal, local fare. 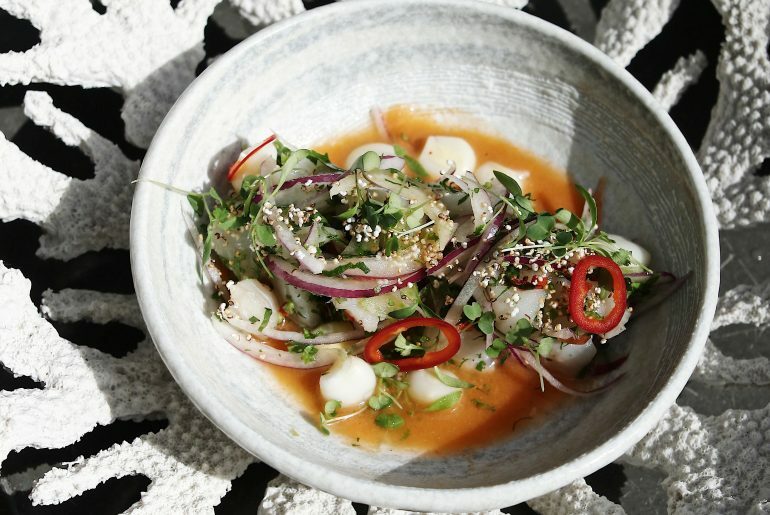 An Ocean Wise partner, they includes tasty sustainable seafood offerings including grilled west coast salmon and fresh-shucked oysters. Be sure to head down on a Thursday for “the boil,” an impressive seafood feast that includes Dungeness crab, snow crab, prawns, mussels, clams, grilled corn and chorizo sausage. Pier 7 is located on the boardwalk of Shipbuilder’s Square where, from 1906 to 1992, thousands of men and women worked in the shipyard and launched over 450 ships, including merchant marine vessels and victory ships. Designated a primary heritage site, the square has undergone a transformation in recent years and year round destination for residents and visitors. Take some time before or after your meal to stroll the 700 foot pier that reaches out into Burrard Inlet.